How to ensure your marketing is tickety-boo on pricing! This is an extract from the Committees of Advertising Practice. With a host of major sporting events and festivals to look forward to this summer, including the World Athletics Championships on home soil, there is always an inevitable gold rush for tickets. And while there are always losers and winners in that race, for the lucky individuals who manage to get their hands on tickets they shouldn’t have had to jump over a complex series of hurdles when working out how much they’re going to end up paying for them. No-one should get to the end of the booking process to discover that the final cost for tickets is greater than the price they originally saw them advertised for. That’s why the Committees of Advertising Practice have published a timely reminder to marketers who are promoting these types of events to ensure they are upfront and clear with their ticket pricing and don’t leave customers feeling frustrated and misled. The Advertising Standards Authority has published a series of upheld complaints against advertisers concerning the advertising of ticket prices on their websites (AKA Group, Charing Cross Theatre Ltd, Ambassador Theatre Group, The Old Vic). The rulings made clear that advertised prices for tickets must include all unavoidable fees and charges in quoted ticket prices, requiring promoters to be more up-front about booking fees. This ensures that consumers have all the information they need in the first instance to help them make an informed choice and to shop around should they wish to look for a better deal. This should be made clear when the ticket price is first displayed on the website. For example, if a ticket is priced at £50 with a compulsory £2.50 fee per ticket, the ticket should be advertised as an inclusive price of £52.50. The first time a price appears it should be qualified with a reference to the existence of this charge. This should be clearly linked with an asterisk to information that includes the amount of the fee (e.g. £25 plus fee*. *Booking fee is £3 per transaction). 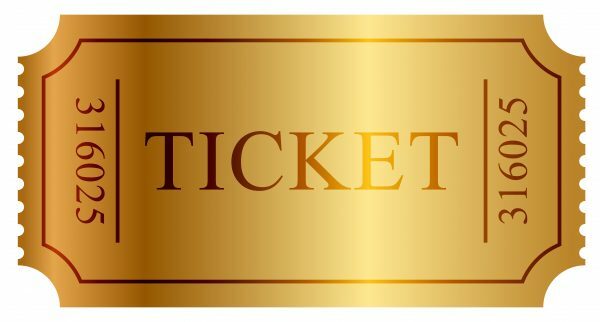 If the first time a consumer is given the ticket price is in a hover box over an interactive map of the seating floor plan, for example, then the ticket price needs to be immediately qualified with a reference to the existence and amount of the fee.